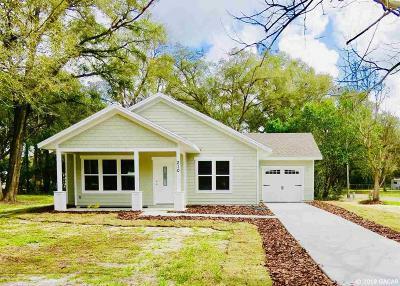 LOOK at this NEW home in Williston! This home is ADORABLE and begging for a family to live here. Architectural shingles, two lots, handicap shower access, granite countertops, all wood soft close cabinets, energy efficient windows, 5 in baseboard, crown molding, tray ceilings, huge laundry room, eat in kitchen, open floor plan, natural gas for range and water heater, Sherwin-Williams paint throughout and so much more! Conveniently located in the historic neighborhood, near schools, shopping, restaurants.